After last year’s successful launch, the Italian Food Awards, the international event dedicated to authentic Italian food and beverage in international markets, return with a special edition dedicated to the US market. The awards are organized by Italianfood.net, the international food and beverage platform by Italy’s leading publisher Gruppo Food, in collaboration with Universal Marketing, the exclusive Italian agent for the Specialty Food Association (SFA), and with the SFA. The awarding ceremony will take place on Saturday, June 30, at 5pm, during the Summer Fancy Food Show (River Pavilion, Javits Center, NYC), in the presence of top personalities from the Italian food industry, US buyers, and members of the media. 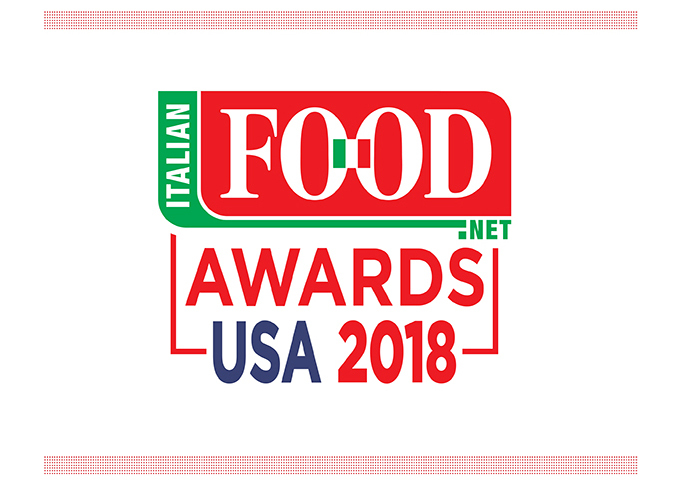 The Italian Food Awards USA 2018 are open to all the Italian food and beverage companies exhibiting at the Summer Fancy Food Show. The participation is free. The organizers accept a maximum of two candidate products or lines from every company. The candidate products must be new to the US market or must have been launched during the previous 12 months. A total of 160 products from 96 Italian companies exhibiting at the Summer Fancy Food Show were voted by a jury composed of US retailers, importers, distributors. The winners were selected from 11 product categories. Three special awards will go to Packaging, Innovation, and Sustainability. The awards have been created to highlight the most creative and versatile food products that better respond to growing U.S. consumer demand for certified quality, natural ingredients, and sustainable innovation. Being at the Fancy Food in New York means being at the heart of food trade with the most important players. Some call it the Wall Street of food!, said Donato Cinelli, CEO of Universal Marketing whose company has invested for more than 30 years in the Fancy Food Shows organized by the Specialty Food Association respectively in New York and San Francisco. The Fancy Food Show brings thousands of buyers to New York for the latest in food innovation and taste trends. We’re justifiably proud of putting on the largest specialty food show in North America. Industry professionals know they will come away from the show with some amazing discoveries and new business opportunities, SFA President Phil Kafarakis said. Italy is our largest international participant at the show. With Italian cuisine so loved by Americans, it’s important to us to continue a close and mutually beneficial relationship with Italian producers and exporters, he said.